From one year to the next, Queensland’s regular flood events hit homes and communities hard, regardless of the scale. Countless personal and community sites and memories are affected as the waters rise. But this doesn’t have to mean that your memories or those of your community are gone. 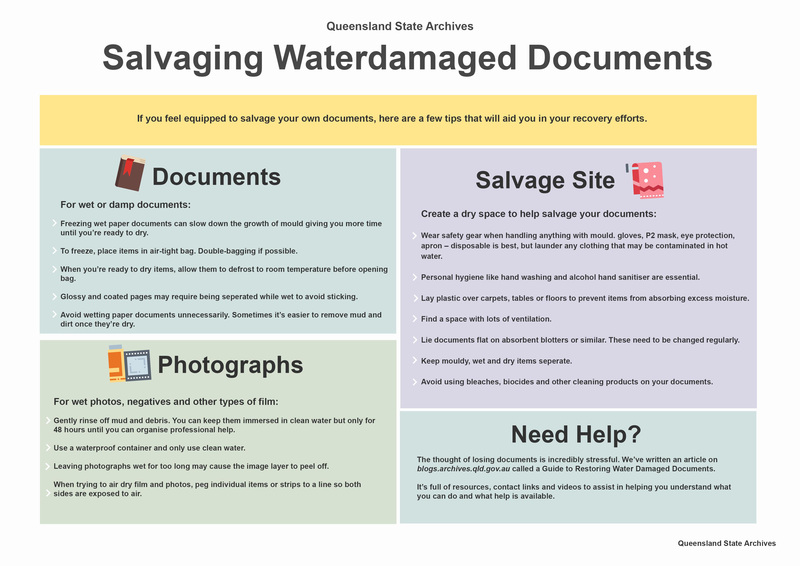 The team at Queensland State Archives are wanting to support your recovery efforts by sharing some advice that may help you with documents and photographs affected by floods. Our preservation team are aware of the challenges that extreme events can bring, and hope that this advice will help you. We have both quick and in-depth guides to recovery, restoration and storage that can help you retain that which is most important. Below is our short guide for anyone looking for quick, easy to follow solution(s) to help with saving your documents and photographs. 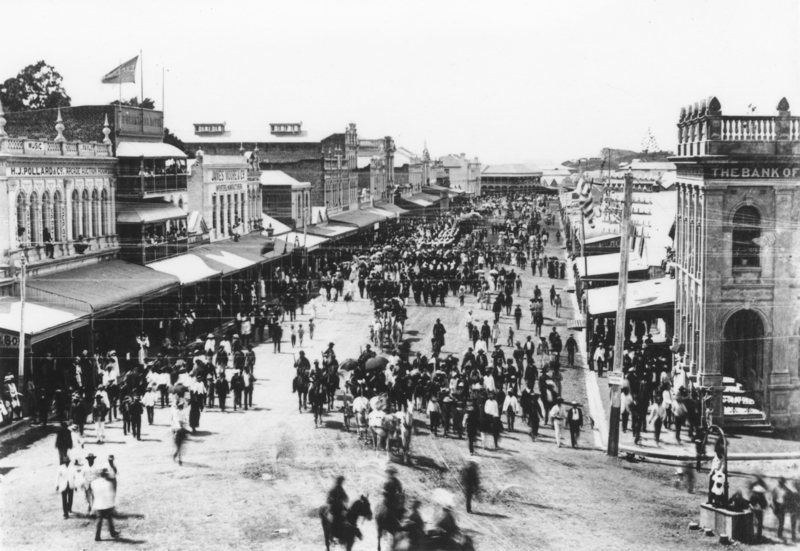 Keeping the records, documents and images intact is vital to the preservation of Queensland history. Attending to water-affected records as promptly as possible is important, as mould can take hold of wet documents and can lead to irreversible contamination. Being mindful of preservation allows us to address some of the damage caused by this flood. For those seeking something more detailed regarding the what and how of recovery, restoration and storage we also have an in-depth guide from our preservation team that outlines the core processes, expert resources, and more. You can download the in-depth guide here. 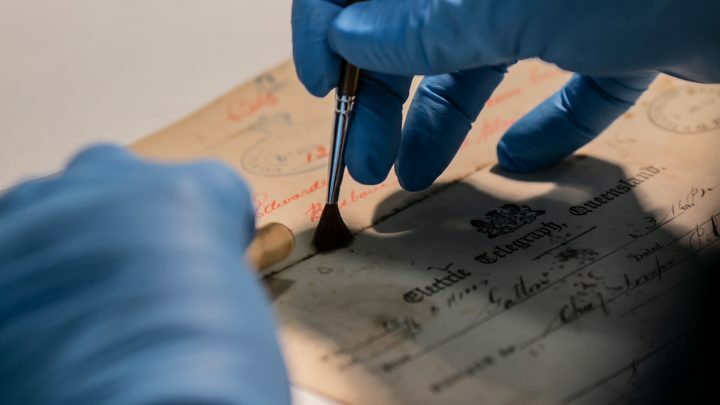 Below is a handy playlist of informative videos from Preservation Australia and the State Library of Queensland which explain a range of different processes for the restoration of documents, textiles, photographs, and more.